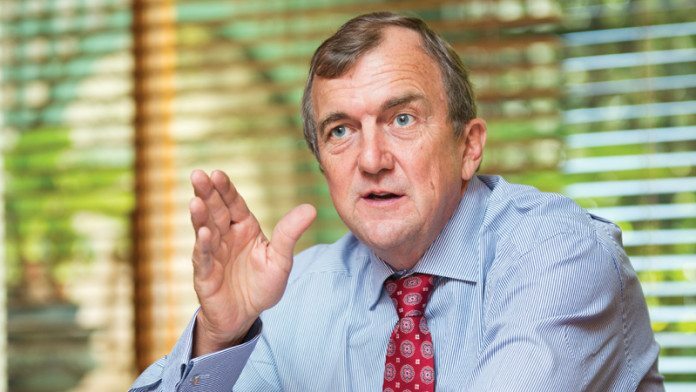 MARK Bristow, the incoming CEO of Barrick Gold, said it was “not a bad idea” for Tanzania’s mining industry to use a collective approach in resolving a tax dispute that is troubling Acacia Mining, a UK-listed company in which Barrick has a 63.9% stake. Speaking to Reuters, Bristow said: “Tanzania has got a broader (mining) industry and the importance of the industry itself getting together with government is not a bad idea. While there is as yet no agreement to coordinate, Bristow told Reuters “… I don’t think it’s a bad place to start”. “Barrick is concerned about the situation in country at the moment. It’s desperate,” he said. Acacia has been prevented from exporting concentrate from two of its mines – one of which has been idled – amid allegations that it owes the Tanzanian government close to $180bn in unpaid taxes stretching over two decades. The Tanzanian government has clamped down on Acacia, claiming some of its officials have been involved in corruption. Three former and current employees have been imprisoned on charges that mean the individuals cannot be bailed. Citing a source at another mining company, Reuters said it may be challenging to unite Tanzania’s mining industry, which did “not want to inherit” Acacia’s issues. Bristow told Miningmx on November 6 that Barrick may consider the buy-out of minority shareholders in Acacia Mining. It was “definitely one option”. Bristow’s Randgold Resources is to merge with Barrick in a transaction expected to be effective January 1, 2019. Last year, Barrick Gold offered to pay $300m to the Tanzanian government as a gesture of goodwill, but the amount has been left unpaid and it is thought the Tanzanians are impatient to have it paid. A number of Acacia employees have since been charged with corruption and retained in jail without bail. Bloomberg News reported on October 24 that once New Barrick was formed, effective January 1 provided Randgold shareholders approve and court permission is granted, it would move to buy out Acacia minority shareholders, but Bristow said it required all parties to “come to the table”, including Acacia Mining’s independent committee. The committee was formed to assess the merits of Barrick’s discussions with the Tanzanians, from which Acacia was excluded by the government. Said Bristow: “The independent committee is another of the stakeholders that needs to come to the party”. It had to recognise the value of New Barrick taking out Acacia, he said. “You’ve got a very unfortunate situation where there’s a stand-off,” said Bristow of the dispute. “You have a board with an independent committee, a shareholder desperate to find an answer, and a government that has been left out of the cash flow. Everyone is talking past each other,” he said.